Mary Davey (1843-1939) was born in the Suffolk village of Fakenham, more properly known as Fakenham Magna. 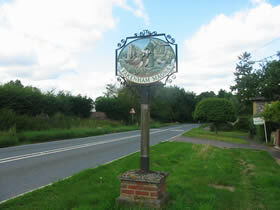 The village lies near Thetford and is not to be confused with the rather larger Norfolk town of the same name. Relatively little is known about the Davey family, not least because Mary Davey appears to have passed on relatively little about her life in Norfolk on to her children. What little information we do have has been gathered from census returns and from information provided by Diana Abbott, a distant cousin living in Australia. Mary's parents were Robert Davey (1807-1889) and Emma Loveday (1808-), who had moved into the area from Beccles, near Lowestoft. She was the eighth of twelve children. 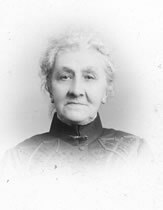 Her grandparents were Jonas Davey (1760-1845) and Elizabeth Buxton (1765-1851), who were both born in Fakenham. They had nine children, of which Robert was the eighth. Fakenham Magna lies a couple of miles south of Euston Hall, the home of the Duke of Grafton, and many of the villagers depended on the Duke's estate for work. The Davey family were no exceptions and the majority of the male members of the family were reliant on the Estate for employment as agricultural labourers. Mary's brothers William, Maurice, Robert and Henry all worked as farm labourers, as did her father, her uncles Jonas and Edward and her grandfather. In later life, a number of the family are recorded as being resident at Euston, presumably at tied cottages. 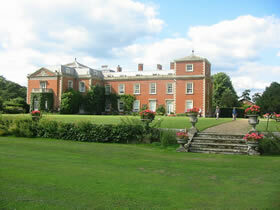 According to Diana Abbott, members of the Davey family continued to work on the Grafton Estate until well after Mary's departure, and at least until 1890. Mary, herself said that she also worked on the Grafton Estate and indeed, in the 1861 census she is recorded as being a laundress. At the time she was not living with her parents (despite the fact that her elder sister Lucy was). She was lodging with another local family called Allcock. Elizabeth Allcock was also recorded as being a laundress and was hence most probably a work colleague. The Allcock's are buried in the churchyard at Euston. How or why Mary ended up leaving Fakenham remains a mystery. Mary either never passed on this information or the details have been lost in time. However, by 1871 she had moved to Yorkshire having married William Dunston the year before and was lodging with William, their son Richard Dunston and William's mother, Emma Townsley.